For promotional shoot of Raazi, Victor Robinson styled actor Vicky Kaushal. Stylist Victor Robinson, who recently flashed his summer hues collection in Bombay Times Fashion Week 2019 with Divyanka Tripathi Dahiya as the show stopper, is a newbie in the styling field. Dspite being a new comer, he already has a feather of a huge achievement in his hat. 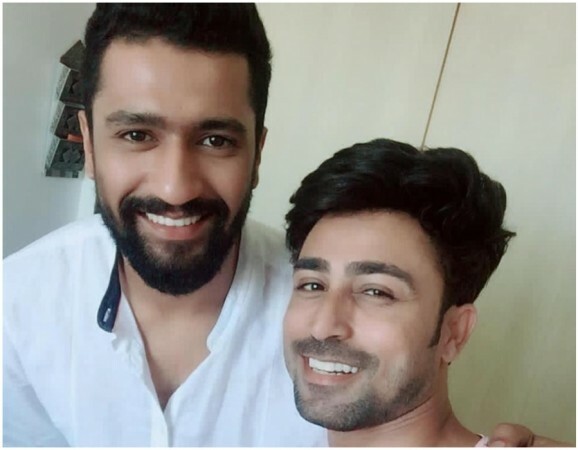 For promotional shoot of Raazi, Victor styled actor Vicky Kaushal. Sharing his experience of working with Vicky, Victor said that he kept it simple and classy for the actor. "Working with him was superb. He is an amazing person by nature. He wanted to keep it simple and yet classy so we did not experiment much," he said. "Comfort and his image is what we kept in mind while deciding his clothes. Vicky wanted to keep it simple and classy," he added. The stylist further said that Vicky should try wearing bold colour clothes. "Bold colors suit him very well. So he should experiment more on colors except black and blues," he concluded.